If you still don’t know what a power bank is, you should enlighten yourself on the fact that it is extremely beneficial for anyone who is using a phone and since nowadays everyone has a smartphone; it is a device that is for all. This is actually why more and more smartphone owners are purchasing this add-on tool, which is now being considered as a necessary mobile accessory. Won’t it be nice for you if there was an alternative device that could help you charge your phone and bring it back to play? Certainly yes! Well, let’s have a look at the benefits of using the latest power bank in the market. Charges your phone when it runs out of power: With the high usage of social media like Facebook and Whatsapp, it is pretty likely that your phone will run out of power and might get off. During such a time if you’re not near an electric socket or if you’re not carrying your charger, you can charge your phone with the power bank. When you’re traveling or commuting, this device can indeed be a boon. You can go to any electronic store to get such power banks. It’s portable: The best part of this device is that it is neither too heavy nor inconvenient to carry and hence it is needless to say that it is highly portable and also has a light-weighted and unique design. This is why it is a very useful device for the travellers. 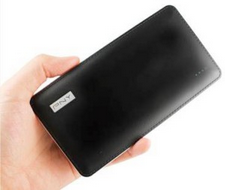 Looks are attractive: Unlike your charger, the power bank looks sleek and attractive. Nowadays, the latest power bank is indeed catchy in their design. Their pencil-thin looks can make them compete with some of those sleek smartphones. As most people are over-concerned about how their gadgets look, this is an add-on for such users. All brands operate on it: No matter which company’s smartphone you own, whether it’s Nokia or Samsung, you can use this tool for charging it during emergency. Cost effective: Hence, if you’re wondering about the power bank specification, you may think that this is too costly, but it is not so. It is pretty cheap and you can own it without a big investment on your part. So, if you always see your phone losing its charge due to excessive use, get your hands on one of the most sleek designed power bank.